Want A Sweet Break? Grab A Baskin Robbins Ice Cream Cake! A soothing balm on a tiring day, a cozy hug on a wintry afternoon or the sweetness of a loved one when things get tough—who wouldn’t want a comforting break any time of the day? But for times when this solace seems distant, we’ve got you covered with Baskin Robbins ice cream cakes that are sure to bring a cheerful gleam to your face. 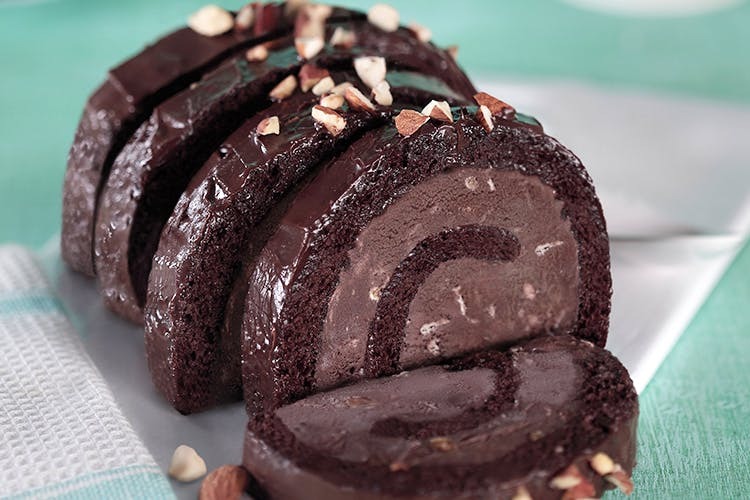 Available in tempting flavours such as Classic Fudge, Red Velvet, Bavarian Chocolate and Mississippi Mud, these roll cake slices are perfect for when you want to indulge in the goodness by yourself. This yummy treat is lots of decadent ice cream rolled in soft spongy cake. Got a win at work to celebrate or get together with the entire squad for birthdays, these celebration cakes are a winner (and definitely yummier than your regular cake)! Get them in all classic flavours such as Chocolate Truffle, Black Forest and Pineapple, these delectable desserts with a combo of rich cake and ice cream are perfect for all times. Celebrating a friend’s promotion or just treating the gang yourself? Get a whole roll cake in your favourite combination—these look just as irresistible as they taste. Get these blissful treats for the fam at home or even for a weekend movie marathon. For God’s sake, who wouldn’t like this to indulge in these treats right away? Visit the nearest Baskin Robbins store stat and stock up your freezers to cheer up a gloomy day! Stay tuned to their updates on Facebook and Instagram.